To find your best individual quote you can type in your zip code and compare different health insurance quotes. With Seabright Holding’s assets equaling $736,933,751, net surplus of $272,201,569 and capital of $3,500,000, business has been good since opening their doors. Opening in July of 1986 under the name of Heart of America Fire and Casualty Company, Seabright Holdings, Inc. has since grown and evolved to the organization it is today. Seabright bought out Lumbermens Mutual Casualty Company in 2003. This was funded by Summit Partners and top executives of Eagle Insurance Companies. The purchase was positive and included transfer of Eagle Insurance staff members and also renewal rights and selected assets were included as well. Seabright Insurance added a new area of expertise. The expertise was in underwriting specialty workers’ compensation for maritime employers and construction contractors. With the new expertise in maritime and construction, Seabright’s financial outlook became even more positive as capital grew as well as financial stability. 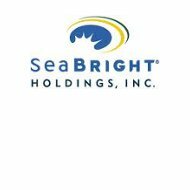 Its parent company decided to change its name in May 2010 to Seabright Holdings, Inc. Their common shares are traded under the symbol SBX in the N.Y. Stock Exchange. Each company brings their own specialty to the table. Paladin Managed Care Services, Inc. also has a large range of care solutions. This company offers high quality medical care of injured workers. This is beneficial for employers as well because Paladin also works to reduce claim costs for them. Well-qualified employees handle the multi-jurisdictional workers’ compensation claims that many firms come across. State of the art medical and disability management tools are utilized by Seabright in order to have a quick turnaround for workers. Companies and policyholders also can benefit from reduced costs in insurance and also better claim outcomes when utilizing Seabright’s policies. The claims specialist will begin with careful analysis and find the most effective way to proceed with a claim. A Claims Examiner is chosen and handles the process from start to finish. Branch offices are contacted because of their localized knowledge and legal environment knowledge. All information is collected and placed in an online format for customers to view at any time. With cutting edge technology, superior management, and handling of services and claims, Seabright is an excellent company in terms of health insurance. For more information on Seabright or other company’s health insurance rates type in your zip code and compare.